Wash kale, remove stems, and tear leaves into small, bite-sized pieces; place into a medium bowl. Add juice from ½ lemon, and massage the kale for 1-2 minutes until leaves soften and become limp and color is bright green. 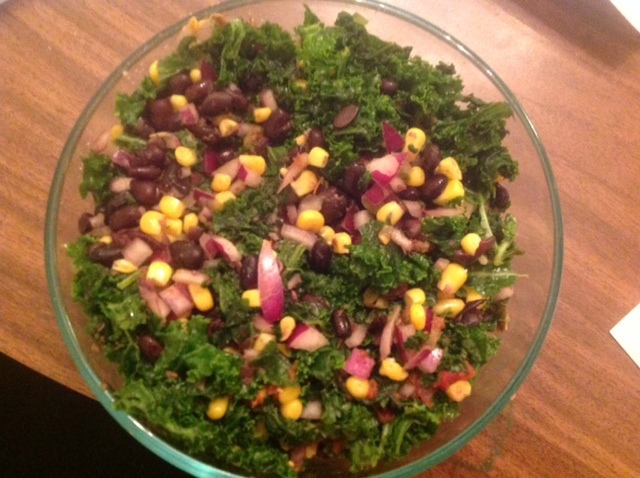 Add red onion, black beans, corn, salsa, and pumpkin seeds to the massaged kale, and drizzle juice from the other half of the lemon over the salad.